Freshly fallen snow is surprisingly easy to run on. Today got off to an inauspicious start. I didnt sleep well and I dreamt that I not only was late for the start but also forgot my socks. Fortunately I didn't, and while the rest of my body was cold, my feet wrapped in Gore-tex socks didn't notice the cold or wet at all. I clocked the first five kilometres close to yesterday's pace, but my legs were more tired than I thought and I couldn't sustain this pace. It was a cold, lonely run around the lake. The pack quickly spread out and apart from being lapped by a few front runners, and lapping a few myself, I was on my own. A few runners on the same lap as me passed me towards the end, which was a sign of me slowing down. Laps 6 and 7 were tough, just willing myself to keep running. I did manage to run the entire route again today, except for the small inclines which I walked briskly to try and maintain constant effort rather than constant pace, albeit walking them for a little bit longer today than yesterday. I got the nutrition about right, with the same mix of peanuts and jelly babies as yesterday. I didn't hit any really low points today, just a gradual wearing down, but I found myself struggling with thirst again. I'll switch from cold water to cold Lucozade Sport or something similar for tomorrow. Foxy has set out a table where you're free to leave whatever drinks or snacks you like. This is working well although I could do with drinking more often than once per 3.55 mile lap and carrying a bottle is annoying. I don't want the added effort of wearing my Camelbak though - this race is tough enough as it is. Maybe I could pack a small battery powered heater in it? The sun broke through was a while and the snow got slushy in places and by the end the paths were mostly clear. Maybe it was just me being tired, but in the last hour it felt like the temperature was dropping. I completed the run with a push up the final slope to the finish line, clocking 4:24:22, pretty much bang on my prediction last night. Right now, four hours after finishing, and a pint of Guinness and a large fry up, followed by a sleep, my legs have stiffened up more than I would like, despite the Tiger Balm. 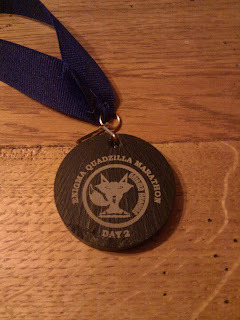 For tomorrow I feel like I'm looking at a disappointing 4:45 but wouldn't be surprised if it was closer to five hours. 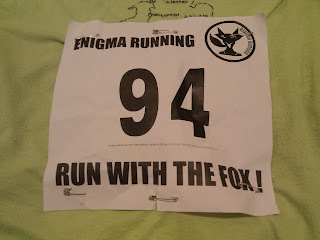 I'm not even thinking about Sunday, apart from running as lightly as I can, until tomorrow is over. That was marathon number 31 for me. Here's a link to the route on Strava. 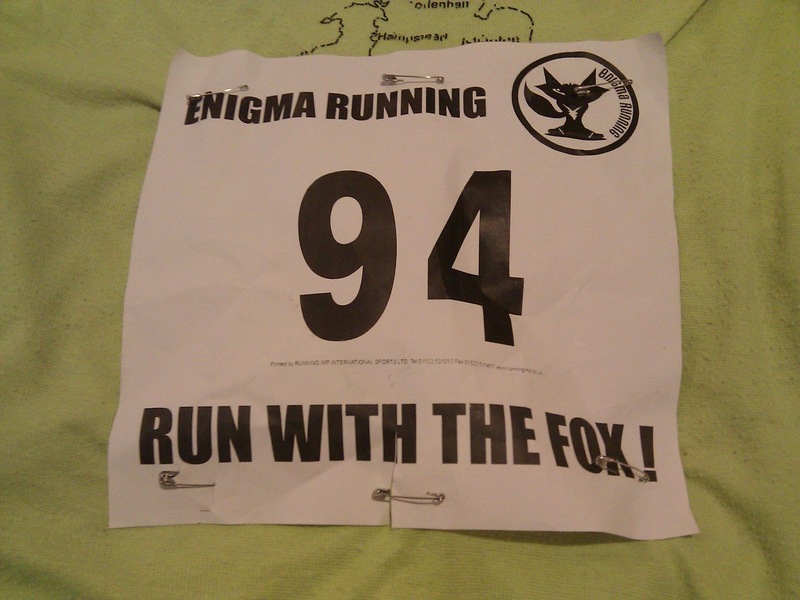 I was 21st out of 57 finishers.